One of the main goals of Teachers in the Word is to spur you, a teacher, to be in the Word. While there is a time and place for studies, there is also a time and place for sitting down with our Bibles, opening them, and allowing the Holy Spirit to guide us into understanding of His Word. What better time than Christmas to allow Him to help us as we dive into Scriptures that give us a glimpse into the night of that precious Baby’s birth. The first time a teacher releases her students to try a task on their own, struggles are expected. It’s new. It’s different. It’s challenging. That’s okay. In fact, that’s normal. Teachers, hear us: you are the student. You will struggle. You will find some of this material challenging. That’s okay! Don’t be like some of our beloved students who get frustrated and shut down, never to return. We have one word for you: persevere. If you hit a passage that you do not understand, we beg you to do what Psalm 1:2 says and meditate on it. Meditate comes from a Hebrew word that literally means “to chew the cud”…yes, like a cow! The Holy Spirit knows how much we can handle, and when He knows that we are ready to digest and understand a portion of Scripture, He will open our eyes to it. In the meantime, it is our job to continue reading and studying and meditating on challenging passages. There may be questions asked of you that you don’t immediately understand or for which you don’t have an answer. Read them, think on them, skip over them for a time, go back to them. We know as teachers that there is learning that happens IN the struggle, so it’s okay to struggle. Struggle. Meditate. Persevere. 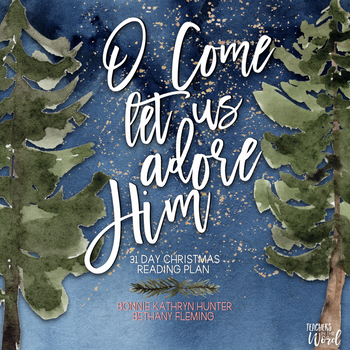 Our prayer is that this reading plan will challenge you as you come to adore Christ more this Christmas. 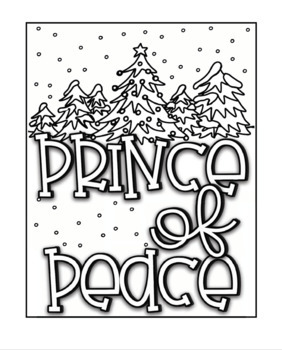 So grab your favorite Bible, coloring utensils, warm drink, and find a cozy spot to curl up and read His Word this Christmas. This is a 31 day reading plan. 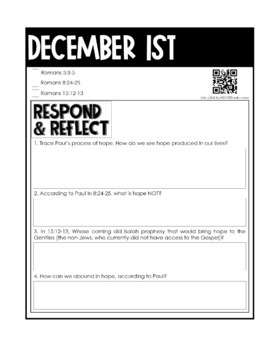 Each day has assigned scripture, QR code links, and coloring pages. Daily questions are included to guide your study time. You will love the community you will find through our active Facebook Group! You can sign up for emails and monthly teacher encouragement here! If you do not want a downloadable .PDF copy of the Bible study, you may purchase the bound version from Amazon here. 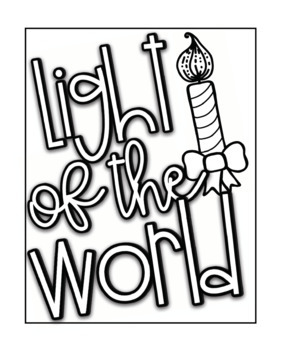 Want a Teachers in the Word T-Shirt? Looking for teacher Bible studies?